Gurgaon is prominently known as one of the enormous real estate properties hubs. This metropolitan city is nowadays aggressively getting developed with innumerable residential projects. ATS Group is an esteemed realty conglomerate going to launch a high-end residential project. The project is introduced as ATS Grandstand going to develop on Dwarka Expressway, Sector 99 A. The project consists of various exquisite residential spaces and plush features. This residential project is encircled of numerous essential social amenities and other services. Grandstand is 13.25 acres of expansive residential project. 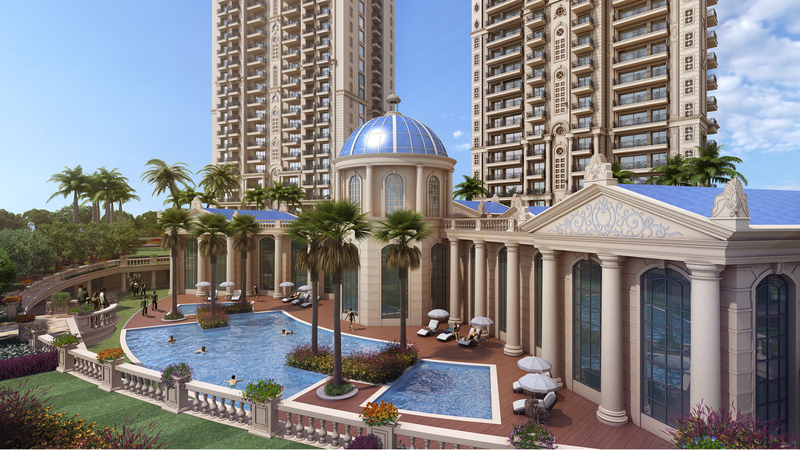 Due to extensive residential projects development, real estate in Gurgaon is up to the mark in the current times. This part of National Capital Region is topping in terms of real estate and development on a very large scale. As per consultants and experts, this vibrant realty hub is on the rise in terms of demand for residential projects. ATS Grandstand Gurgaon is a luxurious residential development located in the close vicinity to various express passages such as Delhi-Gurgaon Expressway, Delhi-Ajmer Expressway and Delhi-Jaipur Expressway that connects to numerous desirable locations. On the contrary this project consists of 3 and 4 BHK segments of beautifully-designed abodes. The project consists of 9 residential towers and 620 residential units. All upcoming residential configurations are planned to concrete in the sizes ranging from 1550 sq. ft. to 3100 sq. ft. You will experience a plush living and soothing ambience inside this marvel residential nest. This new upcoming residential development is equipped with numerous plush amenities such as clubhouse, gymnasium, tennis court, squash court, swimming pool, basket ball, yoga, etc. This project encompasses various social hubs, hospitals, reputed schools & colleges, banks, etc. According to the ATS Grandstand price structure, prices are starting from Rs. Rs. 71.14 lakhs to Rs. 1.42 crores. Split Units in Living room, Dining, Family room & all Bed rooms.